Is your car sputtering, giving out, or causing you concern in other areas? Is it simply time for a routine tune-up or for some maintenance? As you drive near Slidell, LA, you should be on the lookout for INFINITI service specials. You want to take good care of your vehicle and handle problems before they get too bad. The best INFINITI dealers can help you with any care service you need to get your model in tip-top shape. The more you drive in, around, or near Slidell, LA, the more wear you’ll put on the tires of your INFINITI. When you need a brand-new set for your vehicle, stop by the dealer and chat with the technicians to see what’s best. It’s important to put the right tires on your vehicle, so they’ll last longer and help your INFINITI run more efficiently. Also, ask about specials on tire rotations and balances as well. If you take care of these services every 5,000 miles, your tires will wear evenly on the tread, and you won’t need to replace them as frequently. A simple, routine oil change is one of the most important services for your vehicle. This is why good dealerships will advertise INFINITI service specials on fluid replacements. A new INFINITI should have an oil change about every 5,000 or 6,000 miles, while older models need this care more often. This service is an effective way to maintain an efficient, high-performing engine, not to mention good gas mileage. No driver near Slidell, LA, or anywhere else wants to deal with major engine problems. Luckily, INFINITI dealerships have qualified mechanics to diagnose and repair even the most complicated challenges. As you shop around for specials on engine repairs, keep an eye out for offers on transmission work and work on other areas such as the engine block, timing belt, water pump, and other parts of the engine you know either need an overhaul or simple maintenance. If you drive a used INFINITI, and the warranty no longer covers your vehicle, take advantage of INFINITI service specials to handle these matters. The team will know your model well and can quickly assess the problems and get your car back on the road in a timely manner. 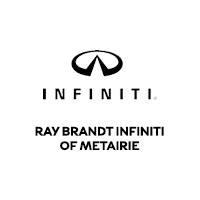 There are many reasons why you should shop at Ray Brandt INFINITI. The dealership has some appealing INFINITI service specials waiting for you, so you can feel confident driving your vehicle near Slidell, LA, once more.